Our price:£ 324.30/pcs. tax incl. 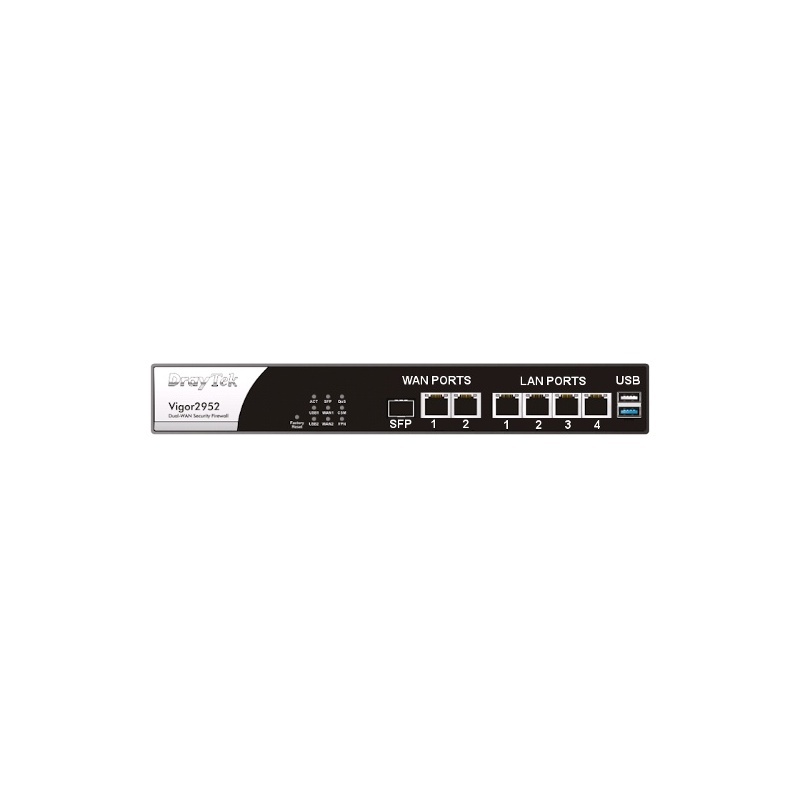 The Vigor 2952 is a router/firewall with two Gigabit Ethernet WAN ports, providing load balancing or failover for up to two WAN connections. 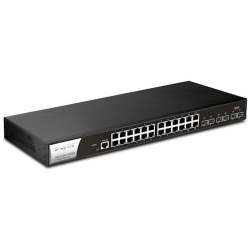 WAN1 can be selected as either RJ-45 or SFP format . There are four LAN RJ-45 ports (Gigabit). 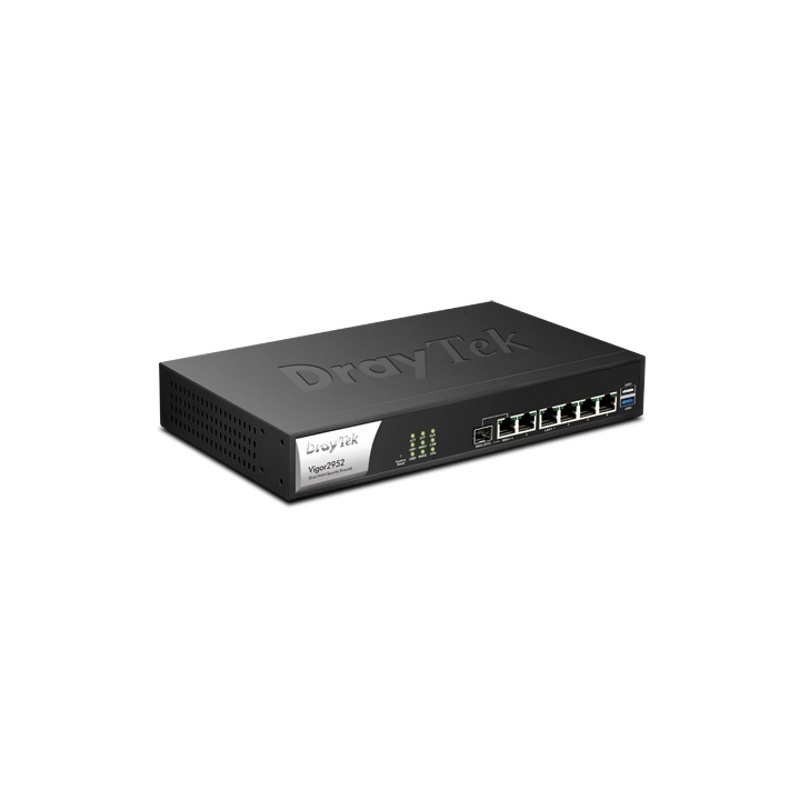 The Vigor 2952 runs DrayTek's own DrayOS operating system, providing familiarity for users of other existing DrayTek products.